"Hepatitis" means inflammation of the liver. This condition can be caused by alcohol, chemicals, drugs and viruses that attack the liver. The information on this site primarily concerns viral Hepatitis A, Hepatitis B, and Hepatitis C, which are the three most common types in the United States. 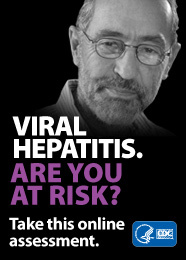 There are several different types of viral hepatitis, learn about each type. Vaccines are available to prevent hepatitis A and hepatitis B. Traveling or adopting children from abroad can present special health care challenges, among them viral hepatitis infection. Statistics for viral hepatitis A, hepatitis B, and hepatitis C.
Includes the hepatitis compendium, information on reporting hepatitis and hepatitis A and B specimen submission, occupational exposure information, the HIV/STD/Hepatitis risk assessment, and the perinatal hepatitis B prevention program. This plan represents a vision and a framework for the direction that MDH should take in the future to appropriately address viral hepatitis in Minnesota. If you have questions or comments about this page, use our IDEPC Comment Form or call 651-201-5414 for the MDH Infectious Disease Epidemiology, Prevention and Control Division. Can't find what you are looking for? See MDH URLs Have Changed for more information. Information on this website is available in alternative formats upon request.